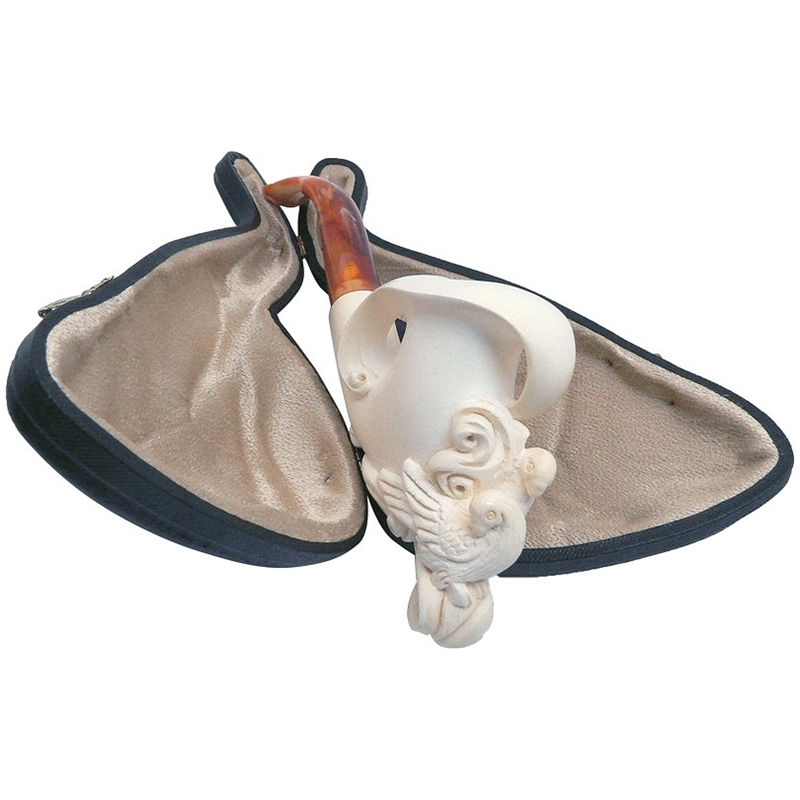 Hand Carved Cevher Scrolled Bowl with Birds Meerschaum Pipe - Two love birds gracefully adorn the front of the stylized pipe bowl. This pipe is signed by the carver Cevher who is known for his artistic style and attention to detail. 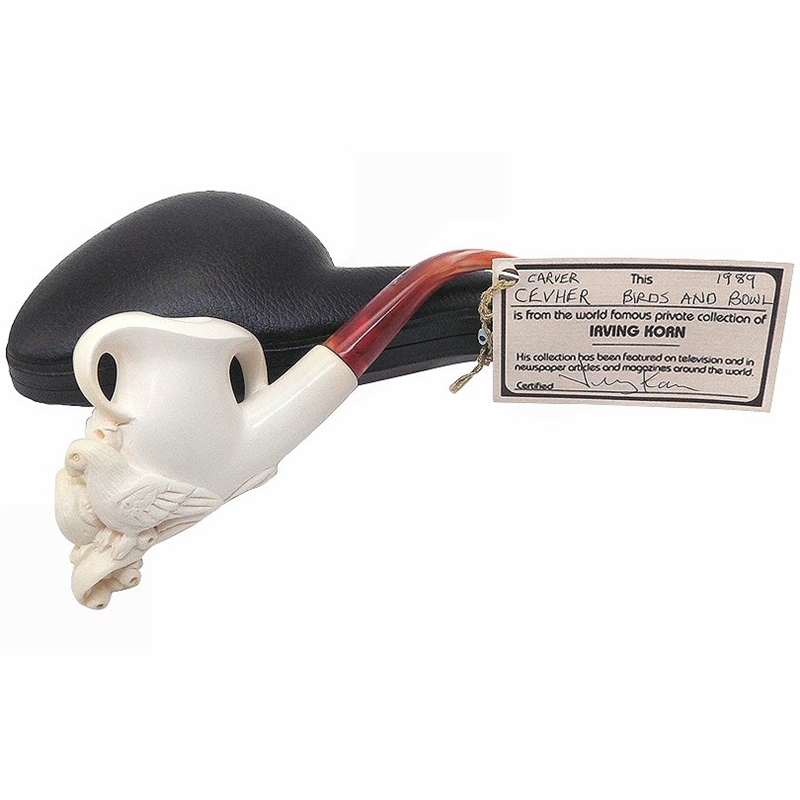 This one of a kind pipe comes certified dated 1989 from the estate of Irving Korn. 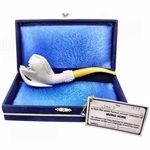 It is hand carved from 100% Solid Block Meerschaum and was imported directly from central Turkey by Mr. Korn for his private collection. Once carved it was soaked in beeswax so that it will color over time after being smoked. The marbled stem is made of a special Amberoid Acrylic for good looks and long lasting durability. The holder is in brand new condition and comes in a custom made velvet lined black leather hinged case.